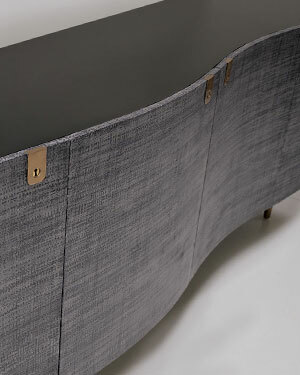 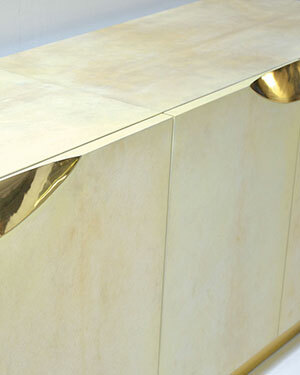 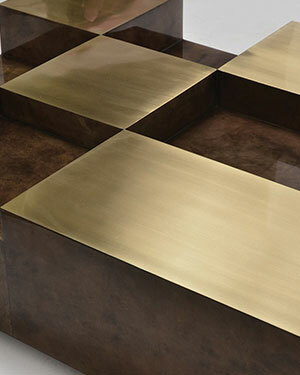 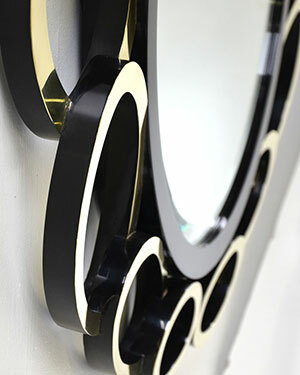 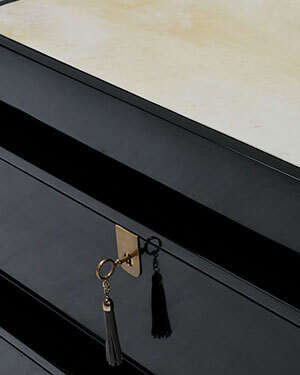 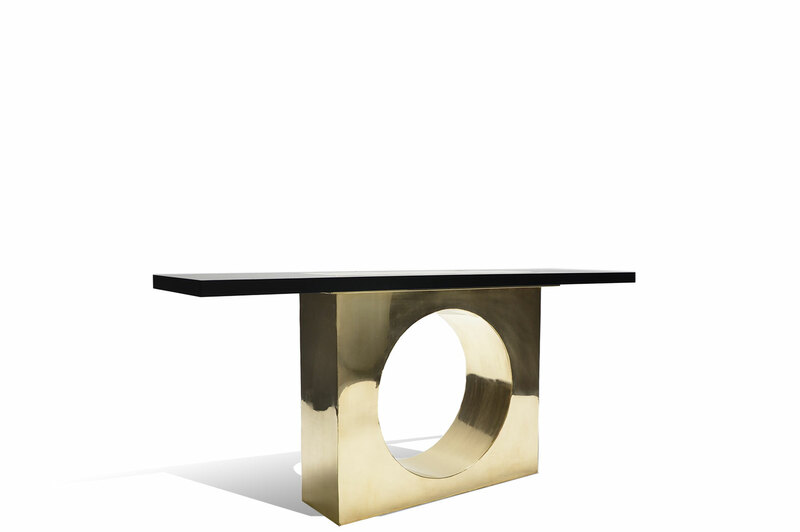 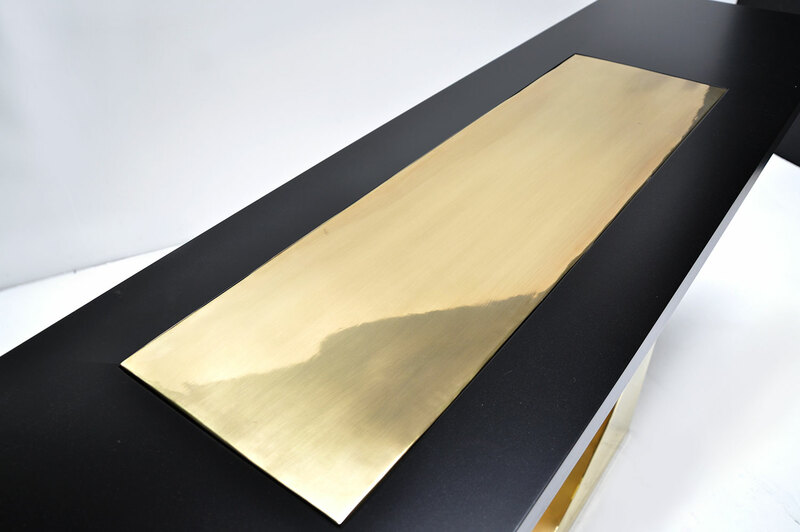 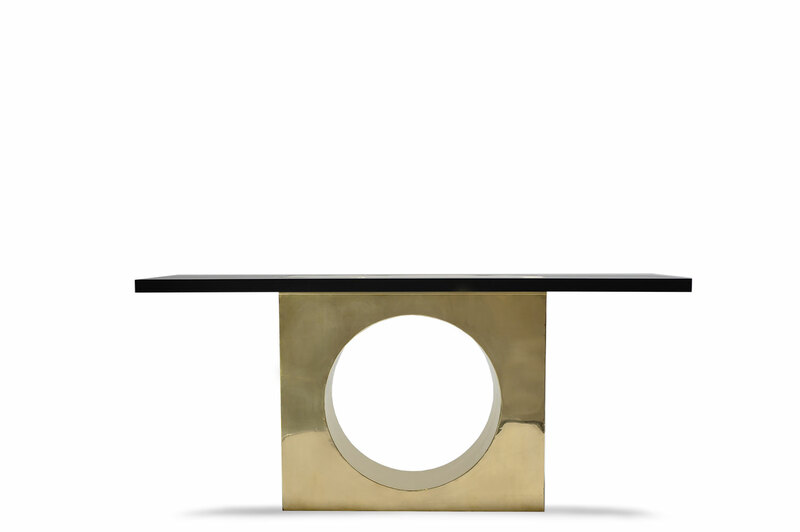 This luxurious console has a handmade base that is made from solid brass material. 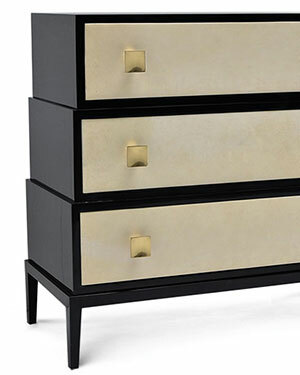 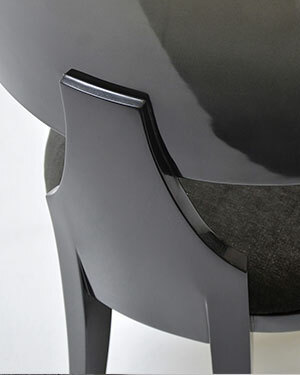 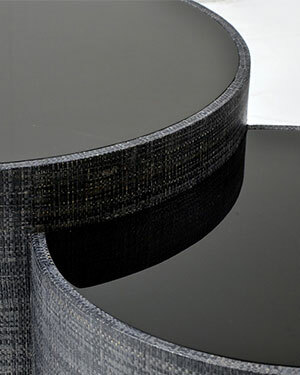 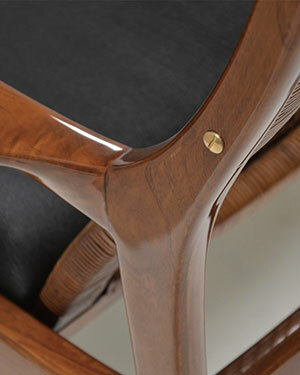 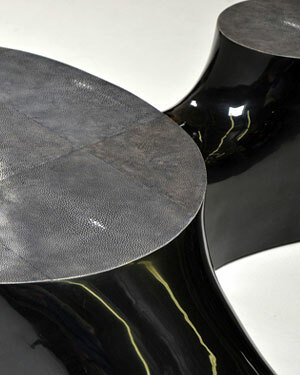 The top is finished in soft satin-sheen lacquer. 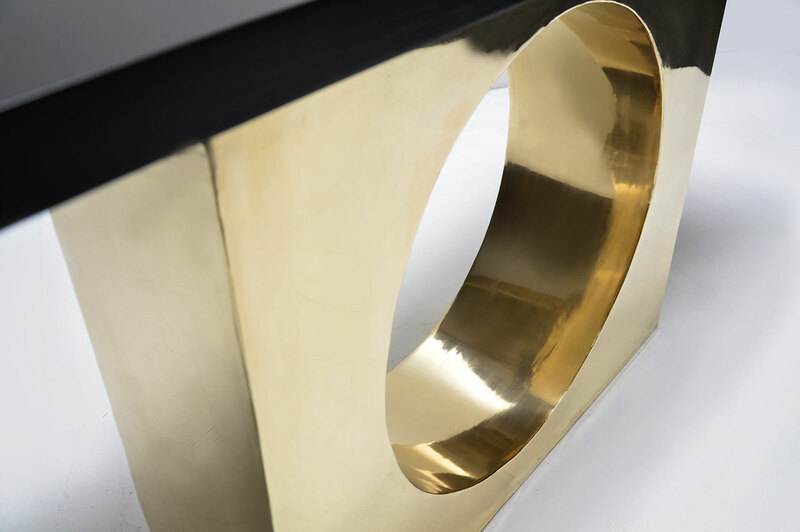 Artisan hand forged craftsmanship and the brush polished brass surface create the charming character and integrity of a furniture piece that is truly handmade.